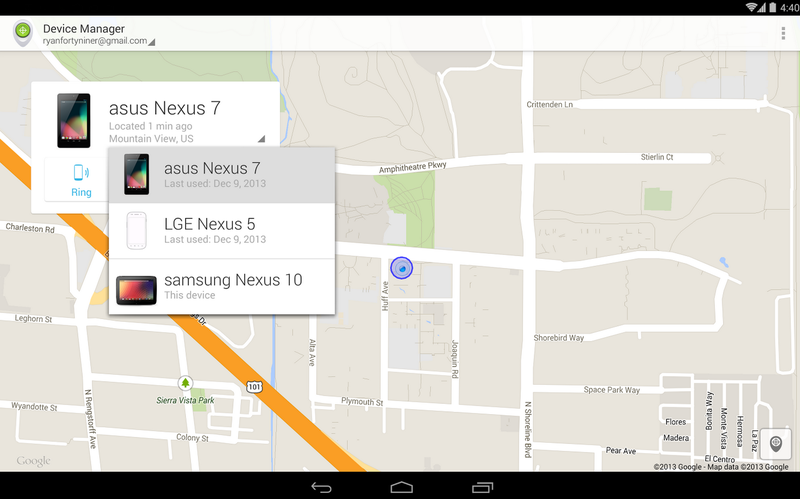 When Google first announced Android Device Manager to help Android users find our lost phones, we were pretty excited. The one downside to the service was that part of it was a hard-to-find setting baked into Android itself, while the actual interface piece required you to open a web browser. Today, Google announced that Device Manager is being moved to its own application in your app drawer for ease of use. Until this update, if you wanted to access Device Manager from your device, you had to access it from the web to track devices or lock them. After downloading it from the Play Store, it is there in your app drawer, allowing you to find any Android device registered to your Google account from that device, lock it, erase it, or tell it to make a loud sound. The app is live in Google Play now, so hit the link below for the installation.